Reading and share top 5 famous quotes and sayings about Shoehorn by famous authors and people. 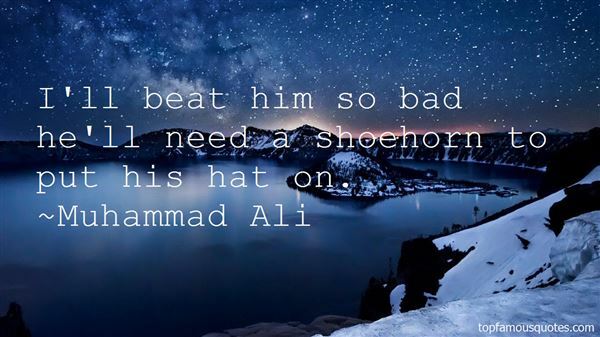 Browse top 5 famous quotes and sayings about Shoehorn by most favorite authors. 1. "Consummation Of GriefI even hear the mountainsthe way they laughup and down their blue sidesand down in the waterthe fish cryand the water is their tears.I listen to the wateron nights I drink awayand the sadness becomes so greatI hear it in my clockit becomes knobs upon my dresserit becomes paper on the floorit becomes a shoehorna laundry ticketit becomescigarette smokeclimbing a chapel of dark vines. . .it matters littlevery little love is not so bador very little lifewhat countsis waiting on wallsI was born for thisI was born to hustle roses down the avenues of the dead." 2. "The glass display cases had shown rock-throwers crafted by the Australian aborigines - like giant wooden shoehorns, they'd looked, but smoothed and carved and ornamented with the most painstaking care. In the 40,000 years since anatomically modern humans had migrated to Australia from Asia, nobody had invented the bow-and-arrow. It really made you appreciate how non-obvious was the idea of Progress. Why would you even think of Invention as something important, if all your history's heroic tales were of great warriors and defenders instead of Thomas Edison? How could anyone possibly have suspected, while carving a rock-thrower with painstaking care, that someday human beings would invent rocket ships and nuclear energy?" 3. "I'll beat him so bad he'll need a shoehorn to put his hat on." 4. 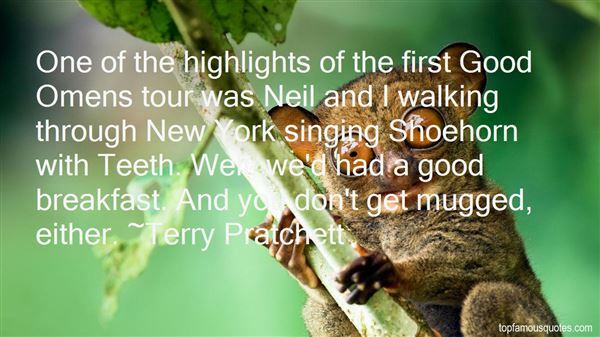 "One of the highlights of the first Good Omens tour was Neil and I walking through New York singing Shoehorn with Teeth. Well, we'd had a good breakfast. And you don't get mugged, either." 5. "One cringes to hear scientists cooing over the universe or any part thereof like schoolgirls over-heated by their first crush. From the studies of Krafft-Ebbing onward, we know that it is possible to become excited about anything—from shins to shoehorns. 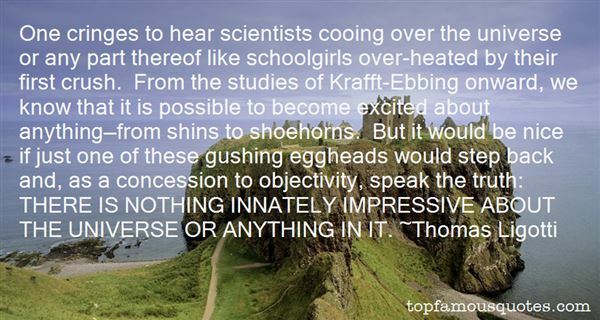 But it would be nice if just one of these gushing eggheads would step back and, as a concession to objectivity, speak the truth: THERE IS NOTHING INNATELY IMPRESSIVE ABOUT THE UNIVERSE OR ANYTHING IN IT." I wish we could go back in time and climb trees together again. I love you, Vera. I always will."